Updated: Some great new Creative Suite alternatives have been released over the last year, including Pixelmator, Affinity Designer, and DaVinci Resolve, so we’ve updated this post to include them, among others. Adobe Creative Suite is more than just Photoshop: it contains other software that helps you build web sites, design logos, edit video, layout books, and more. Recently, Adobe accidentally gave free access to the 2005 version of Creative Suite for free, and it’s clear demand for even outdated versions of the software is high. You can’t get as great of an experience with free software as you can with Adobe’s offerings, but you can at least get close. Whether you’re a student looking to test the waters of design before diving into the Creative Suite, or you’re just an amateur who doesn’t need all the bells and whistles, these free replacements to Adobe’s lineup offer enough for most of us. When it comes to replacing Photoshop, nothing is better than GIMP. GIMP has always been a little rough around the edges, but the recent update to version 2.8 really cleans up the interface and makes it a lot more usable. Alongside ahuge list of updates, GIMP added a new single-window mode that mimics Photoshop’s tabbed view, and makes it considerably easier to use. 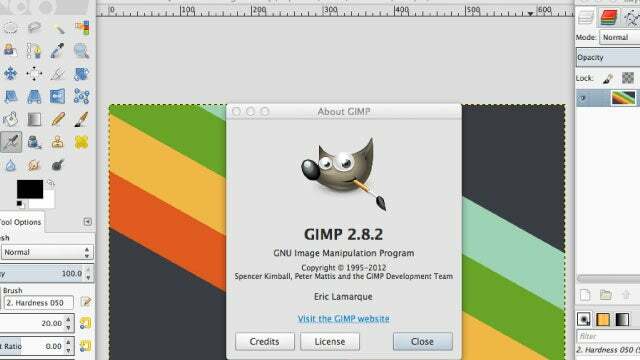 The fact of the matter is, GIMP has come a long way since it was first released, and it’s now a serious replacement for the overpriced Photoshop. If the slightly different interface in GIMP is throwing you off, it has a Photoshop-based port Gimpshop that looks and operates exactly like Photoshop. Once you’re up and running, take a look at our guide to getting started with Photoshop (which also applies to GIMP) to learn how to do all types of great things ranging from color correction to basic drawing. If you’re on Mac, we like Pixelmator ($30) more than Photoshop. It does just everything that Photoshop does at a tiny fraction of the price. You can edit photos, paint with brushes, import just about every photo format imaginable, and retouch photos with ease. Basically, if you don’t specifically need Photoshop for your job, Pixelmator is a far better choice. Adobe’s desktop publishing software InDesign has been a standard for magazine and newspaper layout for a long time, but the decrease in paper publishing has made it less of a necessary tool. That said, Scribus is free and open source software that can do just about everything InDesign can. Scribus isn’t nearly as intuitive (or pretty) as InDesign, but it gets the job done. 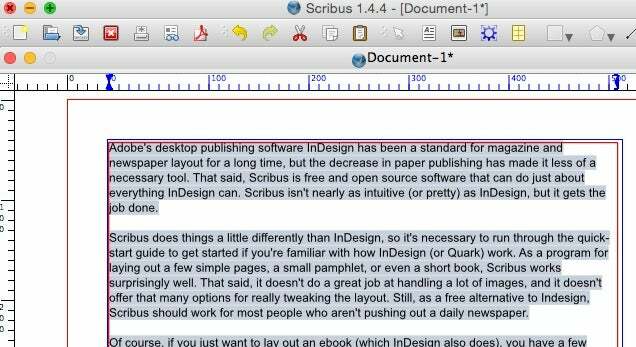 Scribus does things a little differently than InDesign, so it’s necessary to run through the quick-start guide to get started if you’re familiar with how InDesign (or Quark) work. As a program for laying out a few simple pages, a small pamphlet, or even a short book, Scribus works surprisingly well. That said, it doesn’t do a great job at handling a lot of images, and it doesn’t offer that many options for really tweaking the layout. 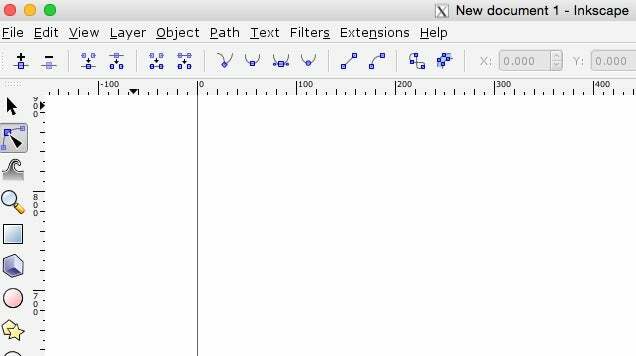 Still, as a free alternative to Indesign, Scribus should work for most people who aren’t pushing out a daily newspaper. Of course, if you just want to lay out an ebook (which InDesign also does), you have a few other options, including Sigil, and Calibre. Neither is particularly feature-rich, but if you’re just looking to lay out and publish a simple ebook (or PDF), both are free options that handle text and simple layout fine. Illustrator’s main claim to fame is vector-based art—the clean, simple art often seen in clipart, web graphics, and a lot of print art. The main appeal with vector graphics is that it’s based on mathematical equations instead of an actual image, so it can scale up (or down) to nearly size which makes it perfect for printing. It doesn’t seem that complicated, but few programs have been able to really replicate what makes Illustrator great. The closest is Inkscape, an open-source program that does just about everything Illustrator can do without the extra bells and whistles (like live trace). Inkscape can do standard vector graphics really well, and a quick glance at theInkscape Tutorials Blog showcases a lot of the power people have pulled out of it. If your main goal is to make clipart style graphics, icons, logos, or even do basic single-page layout, Inkscape handles just about everything Illustrator does. Mac users should also check out Affinity Designer ($40). At $40 it’s obviously a step up from Inkscape, but it’s well worth the price. The app was free while it was in beta, and now that it’s officially released it’s a really solid alternative to Illustrator. It works with Illustrator files, edits Photoshop files, has a ton of masks, supports levels, and can output in every format you’ll need to get your work done. Affinity is also working on alternative to InDesign and Photoshop, so it’s worth keeping an eye out for those as well. There’s a good chance those will be free during a beta period as well. DaVinci Resolve (Free) was once known as a complicated (and expensive) color correction tool, but in a recent update they’ve added editing to the mix. Curiously, it’s also now free if you don’t need the third party panel support.The lite version has some limitations. For example, you can only output to 3840×2160 (which is more than enough for most of us), only use one GPU for processing, and doesn’t feature collaborative editing. That said, you can basically do everything else with it, including editing videos, mastering audio, and a ton more. DaVinci Resolve is already a favorite alternative to software like Final Cut and Premiere, and the free Lite version is surprisingly powerful. However, if you’re on Linux, you have a couple really solid options. Kdenlive,PiTiVi, and OpenShot are about as close as you’ll get to commercial editing software for free. They’re both a little closer to iMovie than they are to Premier in terms of features, but they work really well. The fact of the matter is that you’re not going to find a perfect substitute for Premiere, but if you’re just looking to make simple video edits, it’s possible to do it without spending a dime. 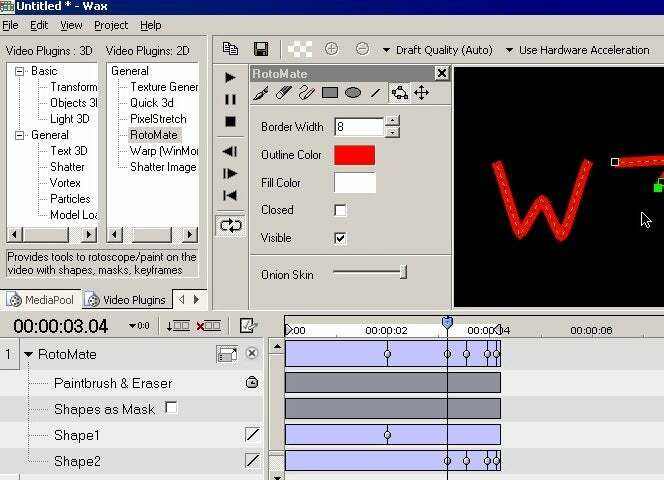 Once you get going, our guide to video editingwill teach you all the basics. 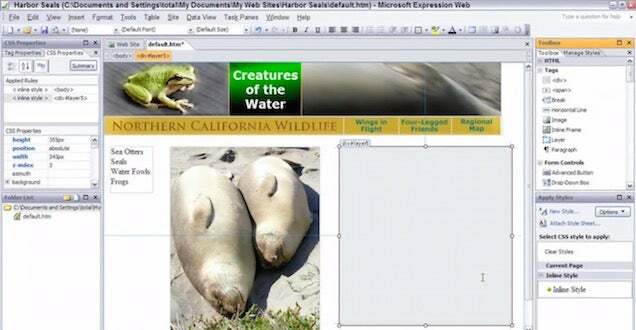 While it’s basically abandonware at this point, Microsoft’s Expression Web 4 (Free) is a fantastic alternative to Dreamweaver if you’re on Windows. It does basically everything that Dreamweaver does, including frontend editing, backend editing, and more. The standards are obviously a bit out of date, but the look and feel of Expression Web 4 should be familiar to anyone who has used Dreamweaver. Aptana Studio 3 (Free) is also worth a look. It’s mostly about HTML 5 editing, features a live editing mode, and has enough customization options that you can get it working similarly to Dreamweaver with a little work. All that said, Dreamweaver, along with any WYSIWYG editor, are often criticized for outputting bad code and doing a poor job of teaching the basics of web site design. If your real goal is to get into web design, you’re better off learning to make one from scratch. We’ve got a huge guide for doing just that. The best part? You can learn all the coding you need with free tools, and moving forward you’ll know how to make a web site without relying on Adobe’s expensive software. After Effects is a relatively niche piece of software for special effects, and post-production video editing. It’s also one of the cheaper retail options out there (similar software goes for as much as $4000 and up). Subsequently, you have a pretty small selection of free software to choose from to replace it. Some of the features in After Effects can be had in the above-mentioned DaVinci Resolve, so be sure to check that out. The closest analog is Wax for Windows. It’s a bit old, but it’s one of the few free choices that can handle video compositing, special effects, and a wide selection of plugins. Alternately, Blender is a cross-platform tool meant for 3D design that can also handle a suprising amount of composting options. It’s not designed for the same special effects as After Effects, but if you just want to toss some light sabers into that home video you filmed at the Grand Canyon, Blender can do it. It’s also worth checking out BlenderGuru for a huge list of tutorials. Replacing Adobe Flash is a little tricky because Flash does a lot of things. However, the open source and free tool Apache Flex does just about everything Flash can do. You can build Flash applications, mobile apps, and desktop apps with it. It also fully supports ActionScript so you can import anything you’ve written in Flash. Basically, Flex is Flash without the price tag and the timeline view. If you want to use Flash to create 2D animation, Synfig Studio is your best option. Synfig Studio can do about as much as Flash can do with animation, and once you run through the tutorials it’s a snap to make to make 2D animations. Unfortunately, you can’t export your animations to the Flash standard SWF format, but as a learning tool it works great. If ActionScript programming is what you’re interested in, Flash Develop is a great coding program built specifically for ActionScript. It’s a little tough to get started with, but once you get the hang of it, Flash Develop can handle all the code that Flash can. Finally, if making Flash games is more in your interest, Stencyl is an absolutely fantastic free tool for budding game developers. Its tutorials walk you though every aspect you need to know, and the visual design mimics a lot of what you’ll also find in Flash, but works considerably better. The best part? It’s entirely visual, so you don’t need to code, and when you’re done making something, you can instantly export it as an iOS game (Android support is also on the way). Replacing the gigantic, all-encompassing Adobe Acrobat is no easy task. On Windows, we like PDF-XChange Viewer. While its set of free options are limited to reading, annotation, and signatures, that’s enough for most lightweight users. That said, the $40 Pro version does everything Acrobat does and more. So, if you do need to make the upgrade it’s still considerably cheaper than the $300 Acrobat. 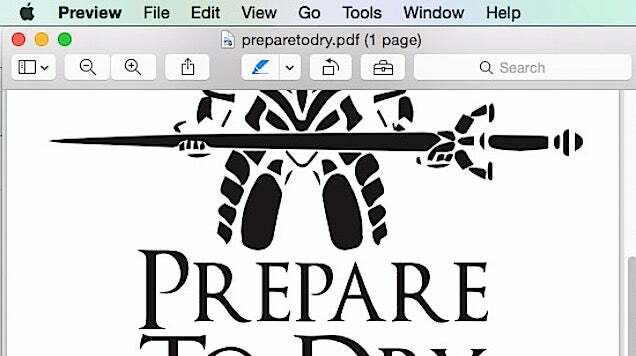 Mac users should be able to get by with the built-in functions of Preview for most of their PDF editing and creation needs. Preview can handle annotation, highlighting, editing, signatures, and more. It’s not nearly as robust as Acrobat, but for the bulk of people out there who need simple editing tools Preview works great. As we mentioned, most of the above options won’t replace Creative Suite for professionals, but they’re usually enough for amateurs. They might take a little more work to learn how to use them because they’re rarely as well-designed as Adobe’s offerings, but they’re often nearly as functional. If you do decide to make the upgrade to Creative Suite, remember that the newsubscription model makes very little sense when you can snag the student editions even when you’re not a student. Rent vs. Buy: Is Adobe’s Creative Cloud Subscription Cheaper than Buying Photoshop?